Space combat sims, much like their terrestrial flight sim counter-parts, aren't quite as popular as they used to be. It's been more than a decade since we've had a solid Wing Commander, Star Wars: TIE Fighter or Descent: FreeSpace come to computer gamers. Long enough for some, even some of the folks who make those games, to start wondering if the genre as a whole is dead in the water. "There is always a little thing in the back of my mind wondering, what if this is a genre that has fallen by the wayside, gone the way of the dodo as things have evolved," said Chris Stockman, who was the NovaLogic level designer on space combat sim Tachyon: The Fringe. But Stockman still sees potential in the genre. If the right game can come along, he says, a combat sim could become as popular as a shooter. While Austin indie studio Seamless Entertainment doesn't expect Sol: Exodus will become the Call of Duty of space combat games, they do think it could help reinvigorate a quickly flagging genre. Not much is yet known about the game, beyond its mankind versus mankind backstory which involves a struggle of science and religion and that it has a local solar system setting, but creative director Stockman and studio director Dan Magaha have some interesting ideas for the in-development game. "One of the things I've noticed is that the space games that have come out in the past few years have all been grand experiences that focus less on action and more on trading, economy, story," Stockman said. "And there hasn't really been that many space games set in our solar system. Our system is gorgeous. I think it is a very compelling setting." Magaha said he thinks it is unusual, too, to have a space game that pits humanity against itself. "One of the things that attracts me to our game is that this is a game set in a space, but not with evil overlords," he said. "It's more about what would happen if scientists said that all life was going to end in our solar system in the next 100 years? What would that mean? What would they do? "Typically when that question is asked in science fiction films, Bruce Willis comes in on a rocket ship, with Aerosmith playing in the background, to save the day." In the world of Sol, there is no Willis to save the day, only a group of scientists who travel out of the solar system to find a new home. When they return they discover that a religious group has taken control of the solar system, and wants everyone to die, to embrace their fate. It's an interesting premise, but a lack of colorful plots isn't what has nearly killed the space combat sim genre. I pointed that out to the duo in our phone call. How has one of PC's other complicated genres, shooters, done so well on the console, but flight and space sims have completely withered up? "One of the reasons that that genre dried up," Magaha said," is that they continued on a vector of becoming more and more complicated when everything about gaming went in the other direction. "Space combat sims reigned at a time when a DOS boot disk was a requirement to play a game. Now we're in an environment where you put a disc in your console and you're playing instantly and it never crashes and it looks better than old science fiction movies." Where first and third-person shooters became slightly less complex when they made the jump to the console, flight and space sims still revel in their complexity, sometimes to their detriment. These were the sort of games that required a lot of key-stroke memorization or, more often than not, a cutout you could tape over your keyboard to remind you what each keystroke did. Empty Space—Sol: Exodus doesn't have a lot of competition these days. We've even heard that NetDevil's space combat sim Jumpgate Evolution is on indefinite hold. But as Stockman points out, I was one of an ever-dwindling group of players that these increasingly-complex games were catering to. "If you look at past things in the genre they have been boring and appealed to a very niche type of gamer." he said. What Seamless are hoping to do with Sol is deliver a familiar space combat sim experience that is more appealing to today's gamer. 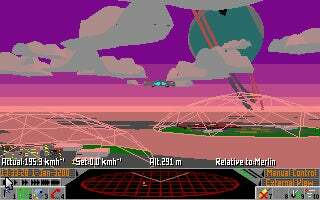 While Stockman described the gameplay as "Wing Commander with a touch of X-Wing Vs. TIE Fighter and Freespace", the pacing isn't going to be the same as was found in those games. "We're gearing it more toward today's gamer," he said. "We respect the past, but in terms of the action quotient it's more geared toward today's gamers." "We are going to institute some gameplay mechanics that haven't been seen in this genre before," he said. "They will add a bit more interactively to the environment. 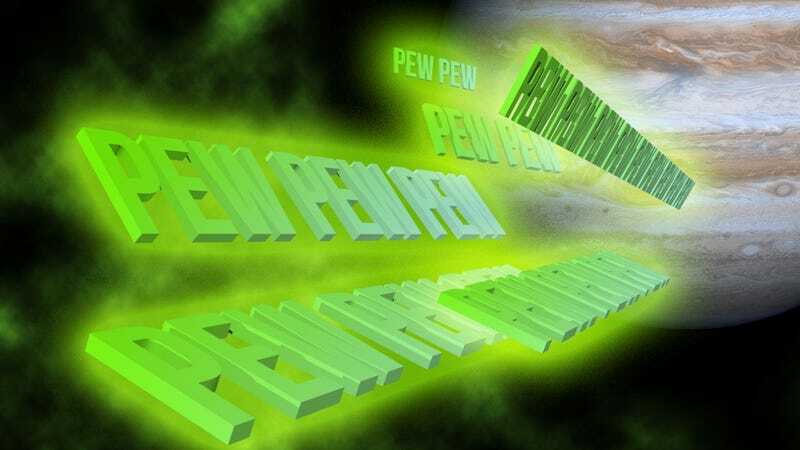 We're not just pew, pew, pew, there is much more to this game then shooting and dogfighting." The duo also declined to show me any gameplay footage, or, more important in this context, a view from their cockpit. But the two say that the game will, with the help of the Epic Unreal Engine, offer some spectacular backdrops for dogfights as you make your way from Pluto to Mercury. "There will be many water cooler moments while you're playing," Magaha said. "We want to give you the opportunity to do amazing things."